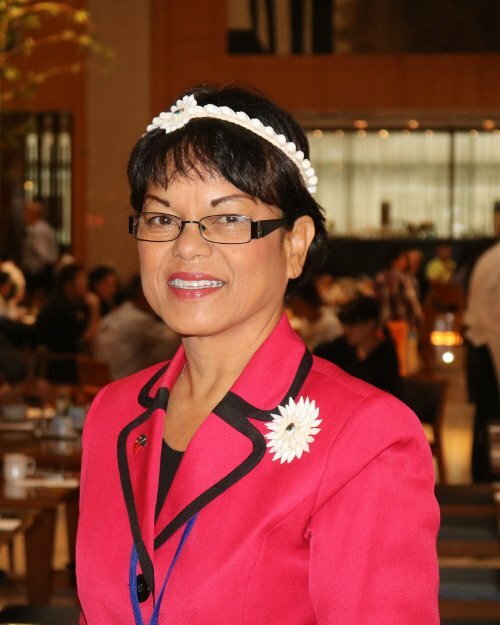 Marshall Islands Senator Daisy Alik-Momotaro has spent a number of decades working in community development as well as advocating for the rights of women, youth and children. In 1984, she participated in the country’s first Women’s Leadership Workshop organised by the Government of the Republic of the Marshall Islands (RMI), which led her and nine other women to travel to all of the country’s outer islands to gather information and mobilise women to establish a non-governmental umbrella organisation for women. Women United Together Marshall Islands (WUTMI) was established three years later when it held its first conference. Considered a co-founder of the organisation, Daisy served as its Director for 13 years before she became Permanent Secretary for the Ministry of Culture and Internal Affairs in 2012, a post she held for four years. In 2015, as she prepared to run in the country’s national elections, a government law passed requiring public service candidates to take 13 months unpaid leave prior to the elections. While many candidates withdrew, Senator Alik-Momotaro remained undeterred and took to driving a taxi for income generation during this time, thereby also making her the first and only woman taxi driver on Majuro. It’s a gamble that paid off. Running alongside nine male candidates, she won one of only two seats for Jaluit Atoll and is currently one of only three women in the RMI parliament of 33 members. She holds the position of Chairperson for the Judicial and Government Relations Committee in the RMI Parliament. Senator Alik-Momotaro has been a long-standing advocate of ending violence against women and girls. She was instrumental in lobbying individual parliamentarians to pass the Domestic Violence Prevention and Protection Law that passed in September 2011. She holds dual Bachelor of Science degrees in Gender, and Communication Studies from Portland State University and a Master of Business Administration from the University of the South Pacific. This portrait of Daisy Alik-Momotaro was first published by the Pacific Community for the 70 Inspiring Women campaign, it is reproduced here (with some modifications of our own) with their permission.